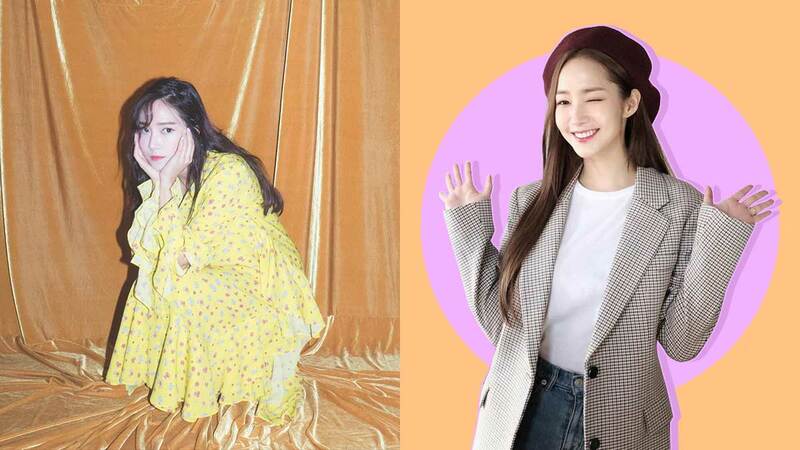 Korean idols, models, actresses, and influencers alike have such an impeccable way of dressing—we can't help but turn to them for daily style inspo. What we've noticed, though, is that they tend to lean towards the same trendy items and style equations. After all, Korean women are known to always be at the top of their game in the fashion arena. Below, a few pieces and style ideas to get your K-wardrobe started. A ruffled, floral, or tiered dress—or all of the above! A K-inspired wardrobe isn't complete without a feather-light summer dress! As Koreans love a feminine look, the more ruffles, tiers, ribbons, tulle, and chiffon you pile on, the better. More than a trend, wearing a dress over a top is considered a K-style basic, much like wearing a t-shirt and jeans together. It’s as instinctive as that! Koreans are known to cover up on top, which is why their spaghetti strap dresses are hardly worn on its own. Koreans are often seen in slouchy, loose silhouettes, thus their penchant for borrowing from the boys. Also note that couple dressing is very much a thing, too, and it’s probably the reason why men and women own the same pieces (hoodies are another example). The amazing thing is how Korean women are able to fashionably pull off such outfits that seem like what a teenage boy would wear, too! Another staple in Korean's closets—yes, for both men and women—are the preppy checked (sometimes striped) shirts. And there are endless possibilities to wear it: With the buttons open, revealing a white undershirt; tied around their waist as an extra layer; or simply as a top, with the sleeves unrolled, falling down freely over your wrist. Like the nonchalance in French fashion, Koreans are also fond of simple lines and silhouettes, tailored basics, neutral colors (black, white, navy, and khaki are key), and classic pieces like a sweater and a beret. It’s funny how prominent sportswear is in the Korean fashion world! From idols in training to Korean celebs, the sporty look is quite the popular go-to choice for when you're running errands, taking a day off, or simply want to be comfy and carefree. Usually in a design that's meant for a corporate setting, Koreans will often be seen wearing a blazer even outside the office! The tailored blazer is usually worn with a plain shirt and jeans for a chic, androgynous look that's workplace-appropriate and a great casual OOTD, too. The mini dress is a K-fashion staple as well, especially as Korean women don’t really care about revealing their legs. It’s a baby doll dress with a super short hem and small sleeves, cinched at the waist to show off their figure. Idols usually have theirs super embellished (especially for stage performances) with crystals, pearls, stones, and studs, or all of the above. K-idols love piling layers onto their petite frame! With a fur coat for instance, the bigger, the better. Korean women also like wearing it over dainty dress, for a fierce, yet feminine look.